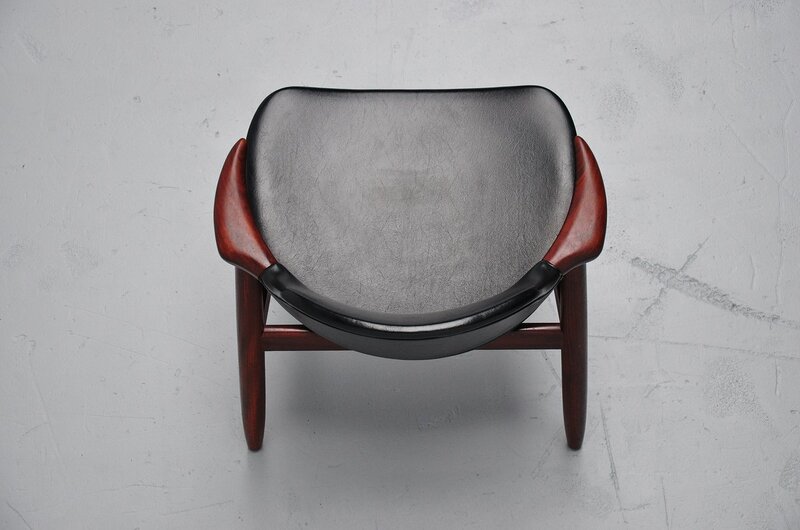 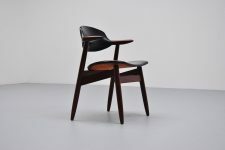 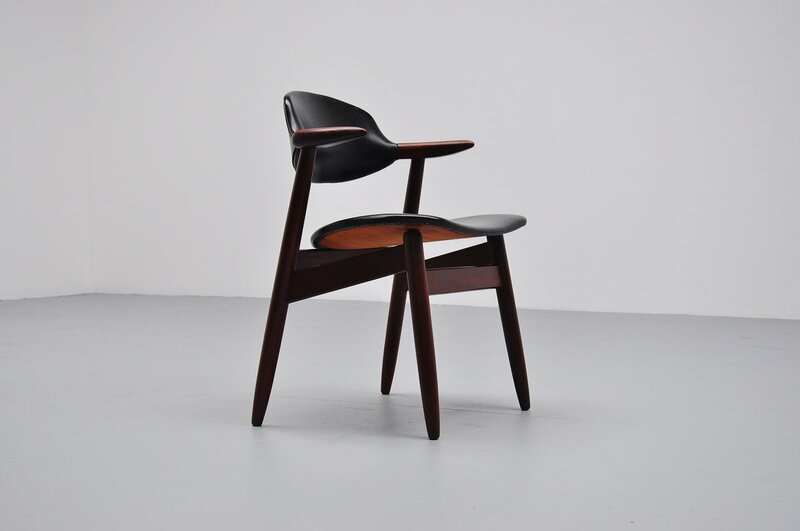 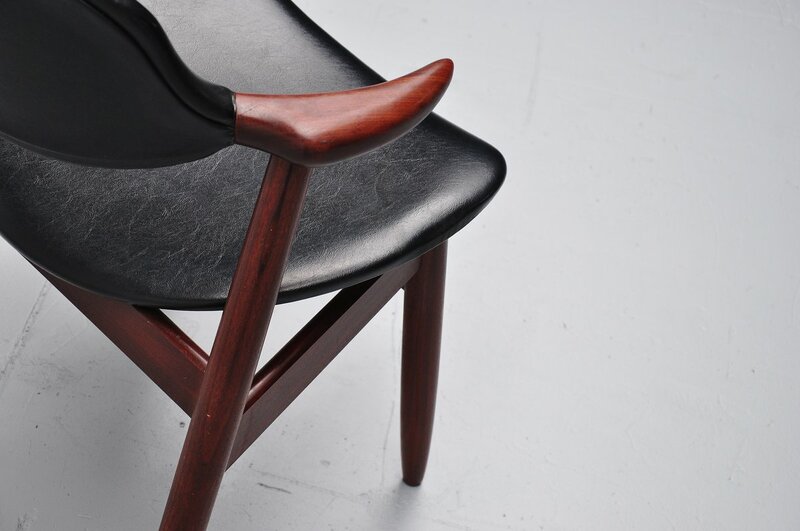 One of our favorite Dutch modern chairs, designed by Tijsseling from the Propos series, made by Hulmefa, Holland 1960.Made of solid teak wood, and black original vinyl upholstery. 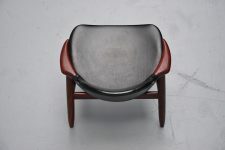 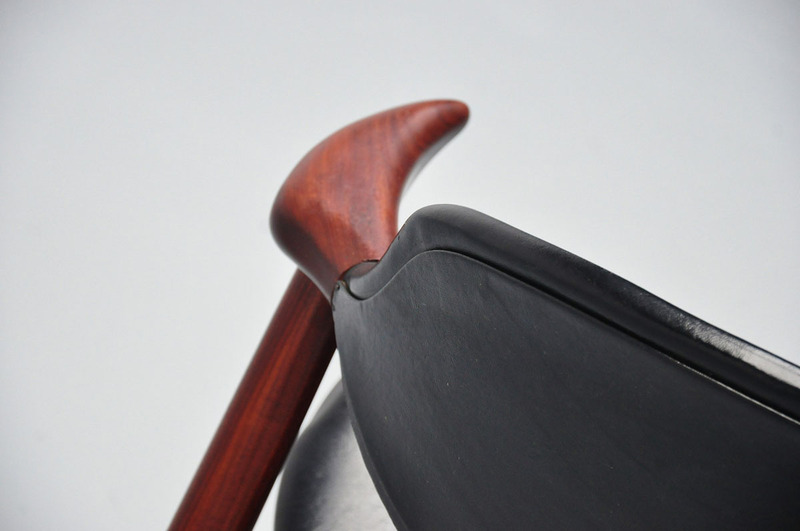 Fantastic shaped chairs, super comfort seating, high quality materials. 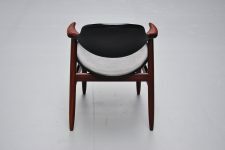 These chairs are great to use under any table because the arm rests are perfect, long enough to give good support and short enough to put against the table when you sit on it. 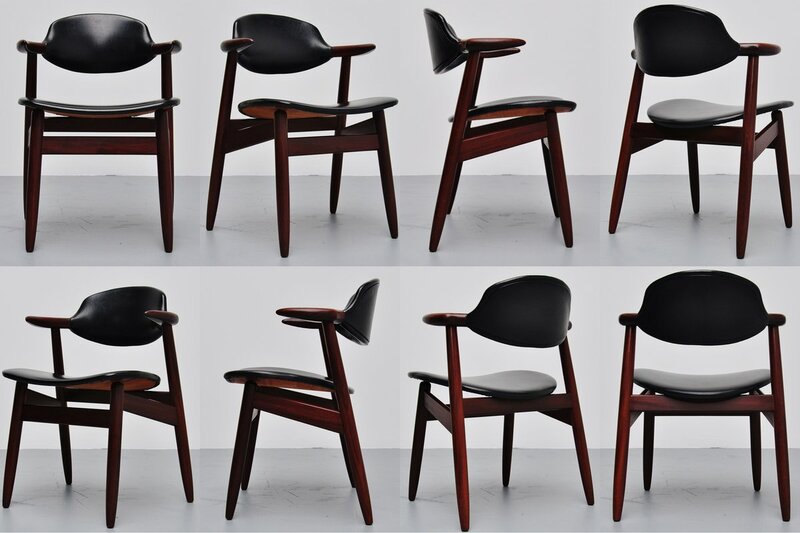 We always have a large quantity of chairs in stock, email us with any questions you have. We also have several chairs in stock that still need upholstery. 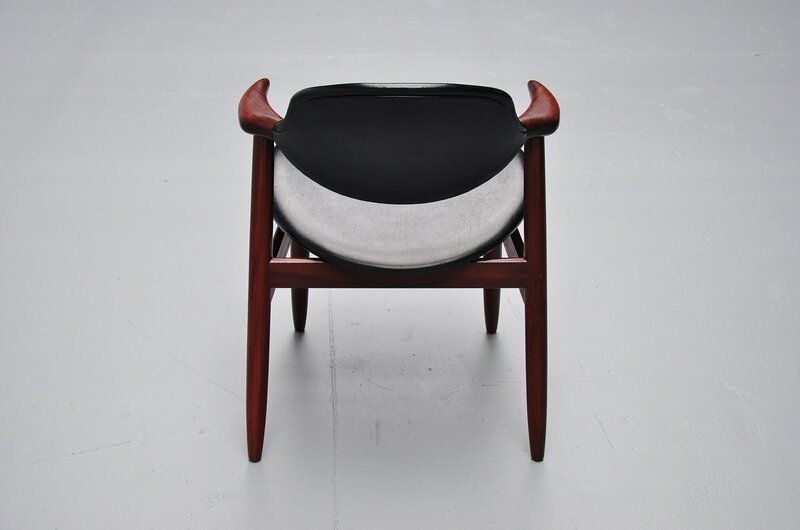 Like all our chairs these can be upholstered in any wanted fabric to your taste. 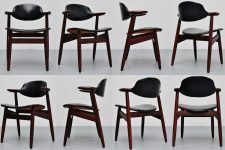 Ask our upholstery department for a competitive quote.